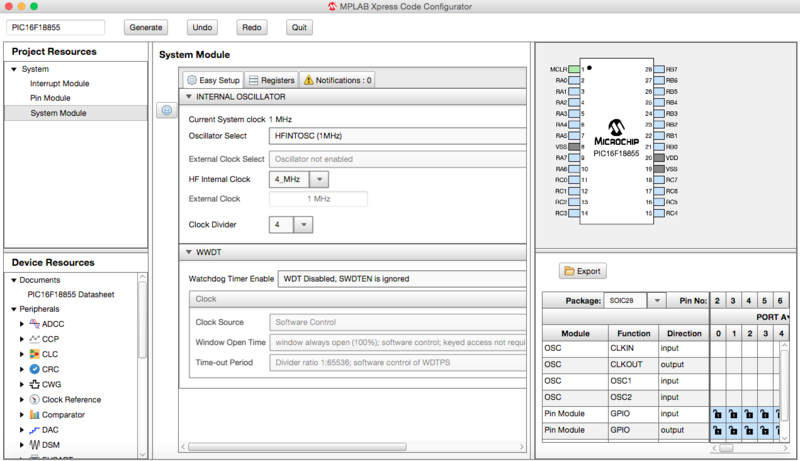 Open the MPLAB® Code Configurator (MCC) under the Tools > Embedded > MPLAB Xpress Code Configurator menu of MPLAB Xpress. A window will appear showing three steps. 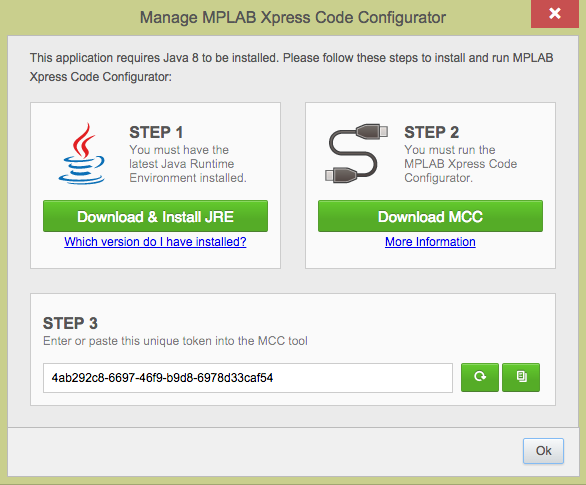 If you need the latest version of Java™ you can click on step one, otherwise, click on the step two button to open the MPLAB® Xpress Code Configurator. The process can take several seconds depending on your internet connection speed. Several windows may appear asking if you want to run the program. When the process is complete you will see a new screen appear, separate from the MPLAB Xpress IDE, that is the MCC control screen. In this screen, you can select peripherals for your project, system setup for the oscillator and other configuration settings, input and output selections for your device. When all of these are completed you can generate project code including a main.c file by clicking on the Generate button near the center top of the screen. All these generated files will be included in your MPLAB Xpress project.